Saudi women are in the driver’s seat for the first time in their country and steering their way through busy city streets just minutes after the world’s last remaining ban on women driving was lifted on Sunday. Riyadh: Saudi women are in the driver’s seat for the first time in their country and steering their way through busy city streets just minutes after the world’s last remaining ban on women driving was lifted on Sunday. It’s a euphoric and historic moment for women who have had to rely on their husbands, fathers, brothers and drivers to run basic errands, get to work, visit friends or even drop kids off at school. The ban had relegated women to the backseat, restricting when and how they move around. “I’m speechless. I’m so excited it’s actually happening,” said Hessah al-Ajaji, who drove her family’s Lexus down the capital’s busy Tahlia Street after midnight. In a few hours, she says she’ll drive herself to work for the first time in Saudi Arabia. For nearly three decades, outspoken Saudi women and the men who supported them had called for women to have the right to drive. They faced arrest for defying the ban as women in other Muslim countries drove freely. In 1990, during the first driving campaign by activists, women who got behind the wheels of their cars in the capital, Riyadh, lost their jobs, faced severe stigmatization and were barred from travel abroad for a year. Ultraconservatives in Saudi Arabia had long warned that allowing women to drive would lead to sin and expose women to harassment. Ahead of allowing women to drive, the kingdom passed a law against sexual harassment with up to five years prison for the most severe cases. Simultaneously, however, at least 10 of the most outspoken supporters of women’s rights were arrested just weeks before the ban was lifted, signaling that only the king and his powerful son, Crown Prince Mohammed bin Salman, will decide the pace of change. Not all women are driving at once, though. 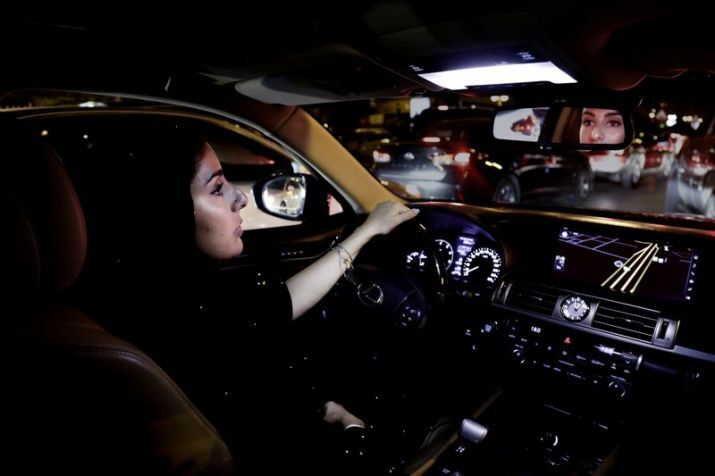 The overwhelming majority of women in Saudi Arabia still don’t have licenses. Many haven’t had a chance to take the gender-segregated driving courses that were first offered to women only three months ago. There’s also a waiting list of several months for the classes on offer in major cities. And the classes can be costly, running several hundred dollars. Other women already own cars driven by chauffeurs and are in no rush to drive themselves. In many cases, women say they’ll wait before rushing to drive to see how the situation on the streets pans out and how male drivers react. “I will get my driver’s license, but I won’t drive because I have a driver. I am going to leave it for an emergency. It is one of my rights and I will keep it in my purse,” said 60 year-old Lulwa al-Fireiji.